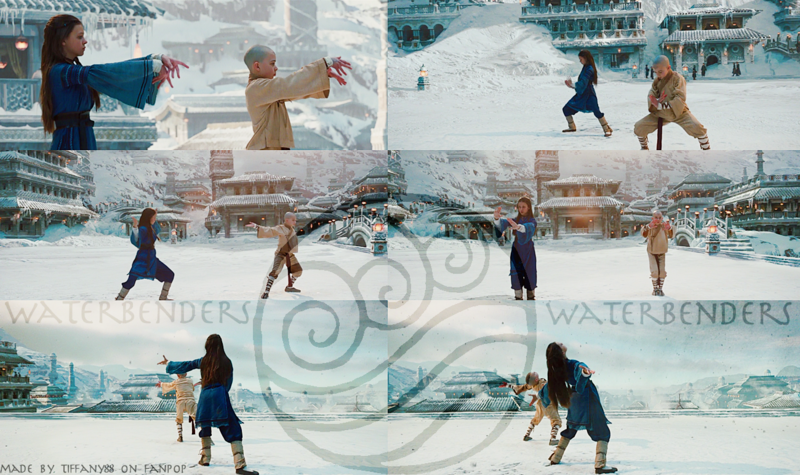 Aang and Katara - Waterbenders. . HD Wallpaper and background images in the The Last Airbender club tagged: the last airbender katara aang movie waterbending. 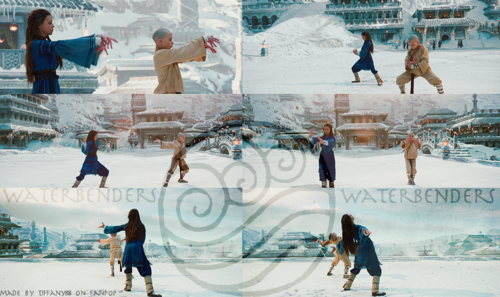 This The Last Airbender photo might contain ski resort, water, swimming, and swim.